Gain new ideas on how to set-up your hospital rounding processes to help fullfil Magnet® requirements. Magnet® organizations exemplify expertise, discovery, and innovation in the delivery of nursing care. 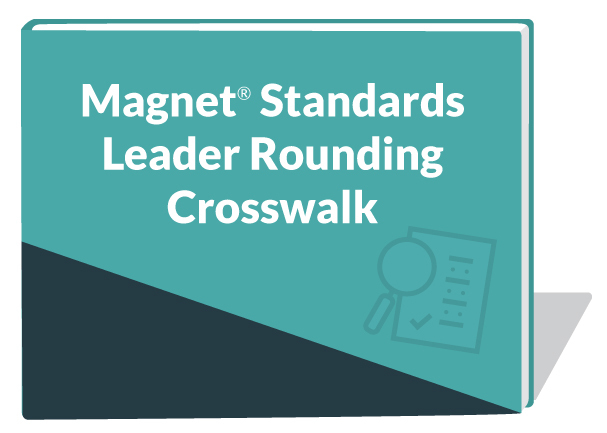 This crosswalk helps executives, directors, and managers envision how the Nobl Rounding Platform supports excellence in quality, safety, engagement, and patient satisfaction. Using the four Magnet® vital knowledge centers, learn how to align different use cases anding rounding questions to fulfill requirements under each center. Learn how to set-up your rounding questions to align with the Magnet® model for designation or redesignation. Discover different use cases for rounding to fullfill a variety of Magnet® requirements for hospitals. Learn how clients use the Nobl Rounding Platform to digitally track rounds and achieve Magnet® recognition.